25/1/19 - "Ali has been so patient with me over the months, she has been absolutely amazing and the best company I could ever ask for! I’ll miss our chats definitely! Can not recommend her enough to anyone." 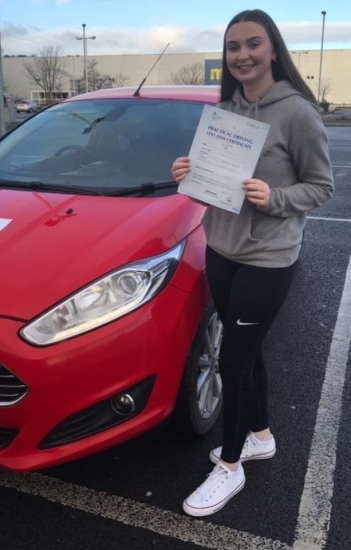 After her test getting cancelled on Wednesday and managing to get a last minute cancellation 2 days later Lily only went and passed her test today with ZERO faults... a perfect drive 🥰 What an amazing result!!! !